당신의 웹페이지에 이 동영상을 추가하세요! 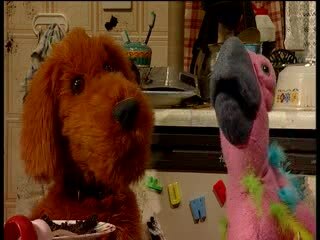 Pets is an adult British puppet sitcom, produced by Fit2Fill Productions Limited. It was originally aired on Channel 4 and ran for two series, the first being broadcast in 2001, and the second in 2002. It was also sold to Fox in Australia, and MTV in Italy. The series was created and written by Andrew Barclay and Brian West (pen name Brian Luff). Episodes are 11 mins in duration.